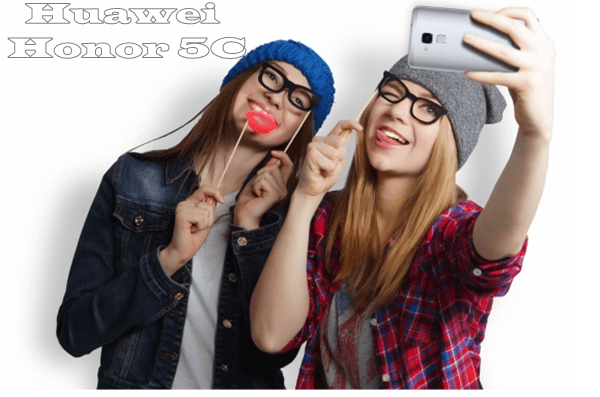 Huawei Honor 5C launched in India priced at Rs 10,999 slated to go on sale first flash sale on 30th June through Flipkart and HiHonor.com. It also includes 1 month screen replacement warranty and 15-month device warranty. The pre registration starting from Wednesday. It’s first launched in China at CNY 899 (Approx. Rs. 9,000) for the 3G model and CNY 999 (Approx. 10,250) for the 4G LTE model. The all new Huawei Honor 5C comes with a metal body smartphone and support Dual-SIM (Nano SIM), 4G LTE, with LTE Cat.6, Bluetooth, Wi-Fi, Micro-USB and GSM/ EDGE/ HSPA+ comes with a 5.2-inch Full HD IPS LCD display with resolution (1080×1920 pixels) and pixel density of 451ppi with Corning Gorilla Glass 4 protective. It runs on latest Android 6.0 “Marshmallow” along with Emotion UI 4.1 on the top powered by its own HiSilicon Kirin 650 Octa-core SoC (clocked at 4x Cortex A53 at 1.7GHz + 4x Cortex A53 at 2GHz) with 2GB of RAM, 16GB in-built memory+ 128GB via MicroSD card slot. It also sports a 13-MegaPixel rear camera with an f/2.0 aperture and LED flash, Auto focus, Phase Detect Auto-Focus (PDAF) perfect for shooting in low light while its front snapper 8-MegaPixel camera for video calling and taking selfies. Huawei Honor 5C will be backed by a powerful 3,000mAh battery. It measures 147.1×73.8×8.3mm and weighs 156 gm. At last few honest word, the all new Huawei Honor 5C is the best budget smartphone under Rs 15,000 but 2GB RAM and 16GB ROM is the biggest drawback compare to it’s rivals like . What you think? Please be open to give your view.